A minimum of 1.2GB available hard drive storage space required for PS3, as of November 2015. Storage space requirements are subject to change and may increase. Additional storage may be required for setup, some updates and features. There may be mandatory in-game updates which users must download to continue playing and which may require additional storage. Broadband internet required. Users are responsible for broadband access and usage fees. Additional charges can apply for online content and some features. 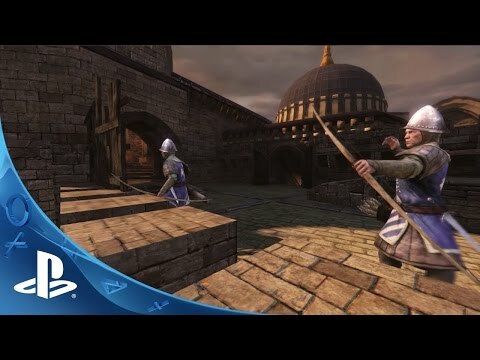 Various elements and functionality of PS3 Chivalry: Medieval Warfare game may require subscription to PlayStation Plus, sold separately. Terms and conditions apply. © 2015 Torn Banner Studios, Inc. All rights reserved. ‘Chivalry: Medieval Warfare’, ‘Torn Banner Studios’ and logos are registered trademarks by Torn Banner Studios, Inc. Game © 2015 Activision Publishing, Inc. ACTIVISION is a registered trademark of Activision Publishing, Inc. Activision makes no guarantee regarding the availability of online play or features, and may modify or discontinue online services at its discretion without notice, including for example, ceasing online service for economic reasons due to a limited number of players continuing to make use of the service over time. Purchasing and using the software constitutes acceptance of the Software License Agreement available at support.activision.com/license. All other trademarks and trade names are the properties of their respective owners.